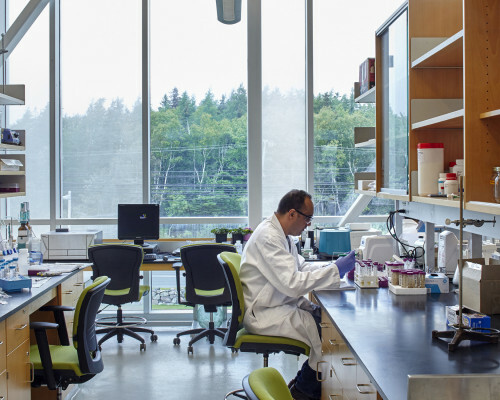 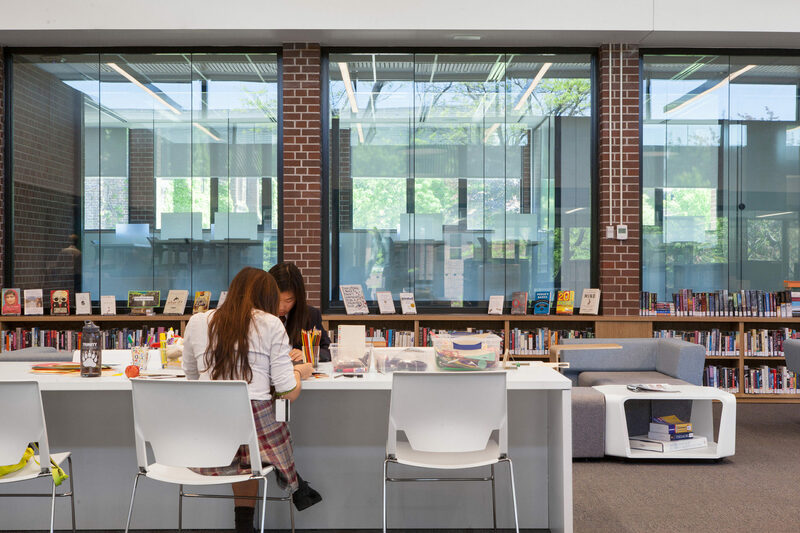 The primary goal of the Learning Commons project was to create a space that supports and encourages multiple learning styles: social learning, individual study, group study, group projects, one-on-one guidance, and classroom instruction. 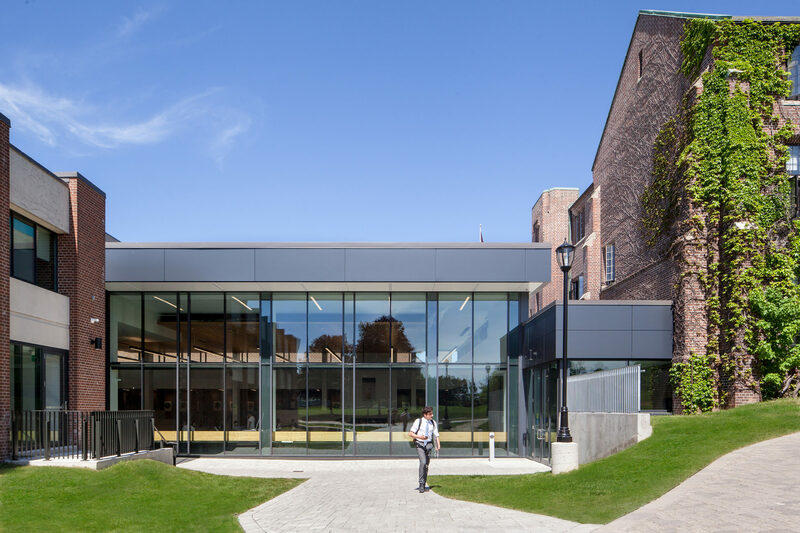 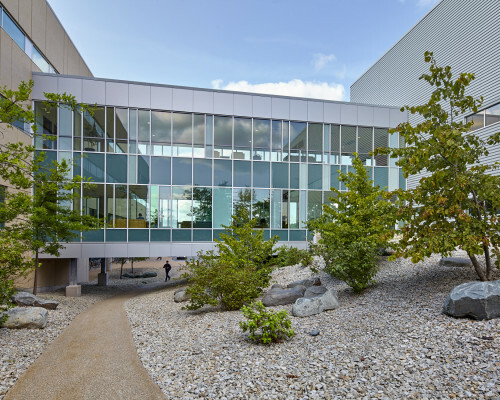 With this in mind, and to accommodate a growth in space needs, an underused courtyard near the heart of the campus was enclosed to create a new 6,620 SF Student Commons. 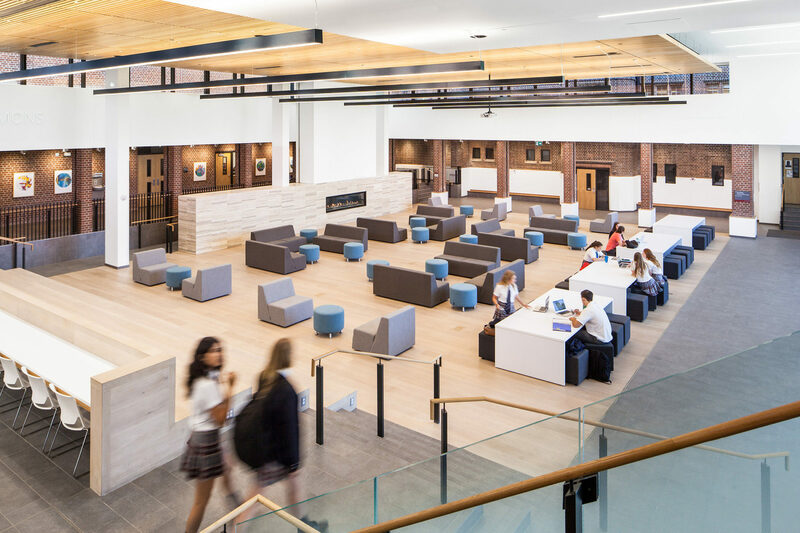 Anchored by a stone fireplace, a large new lower lounge space is designed to be flexible in order to accommodate various student, staff and alumni functions and events, while on a typical day, couches and tables provide an inviting and open environment for students to socialize, collaborate, or study. 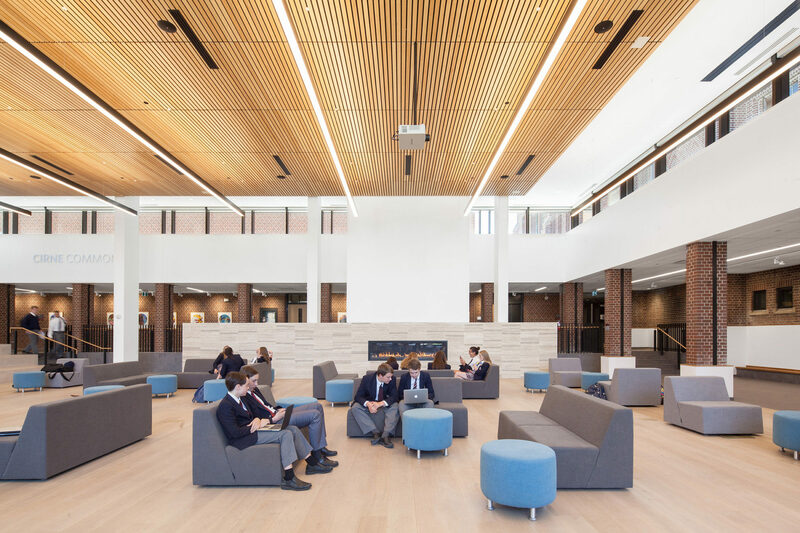 A smaller upper lounge provides a more intimate space for group and focused learning. 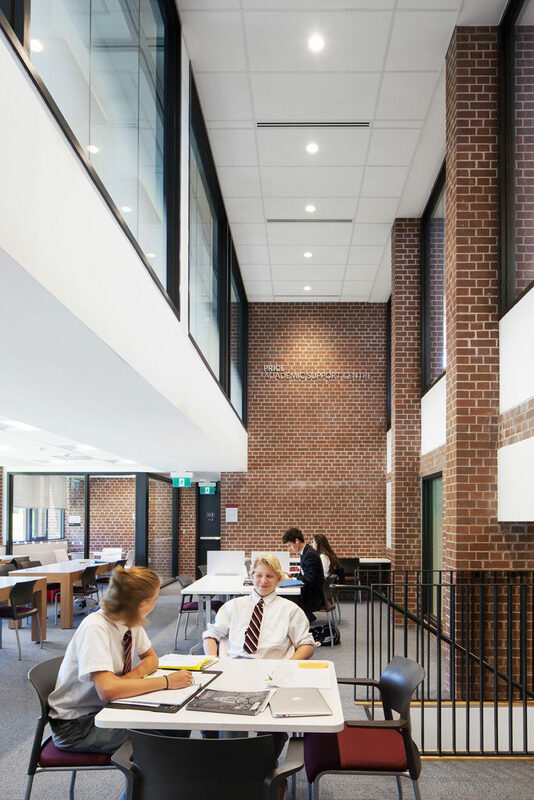 At the top of the stair, the new library is designed to responds to the changing needs and tasks performed by today’s student. 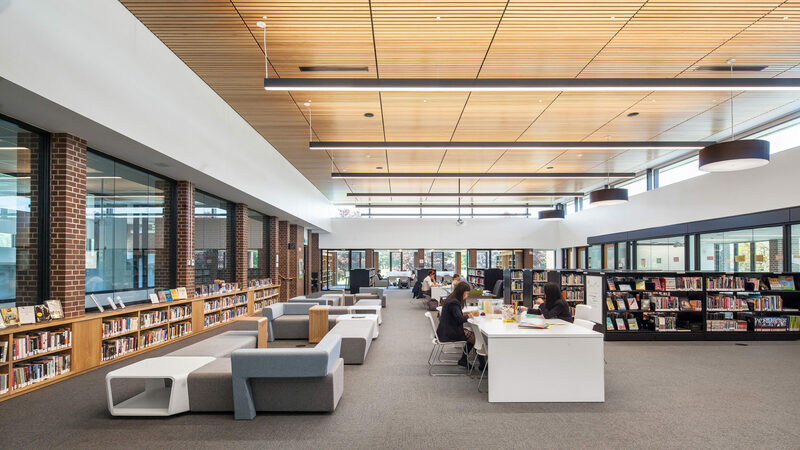 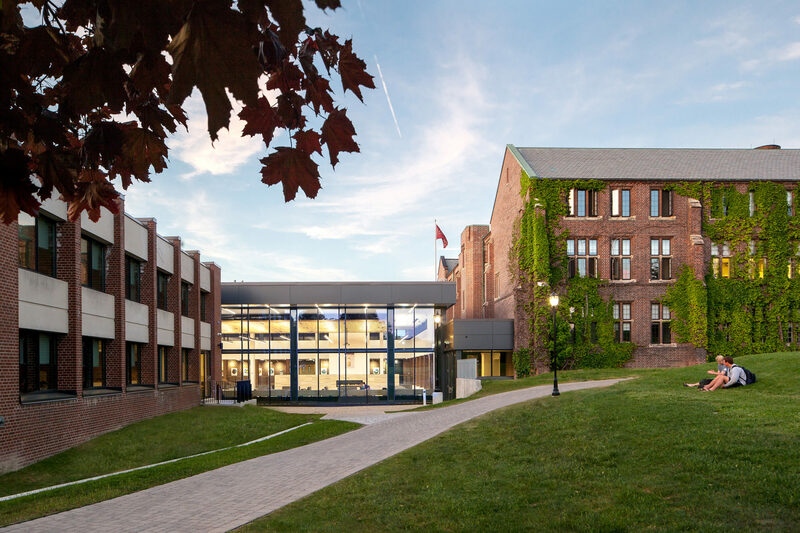 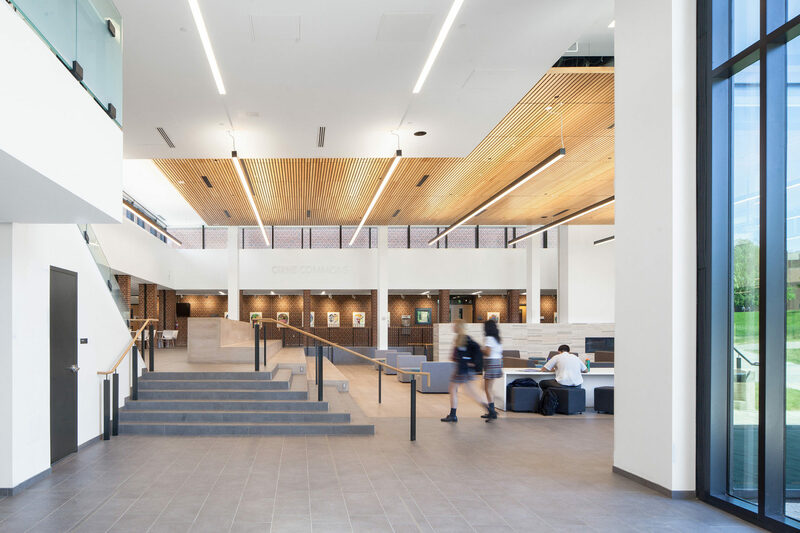 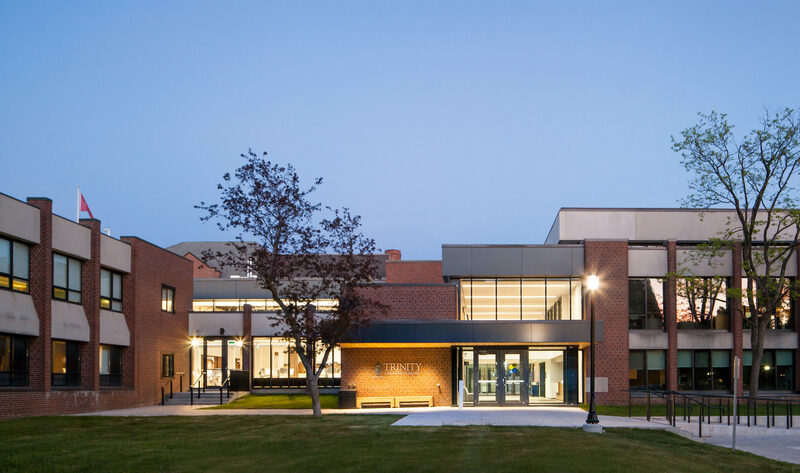 An additional 21,000 SF of the library and administration spaces below were renovated to improve the school’s expanding academic support and guidance programs.